Margaux Sky has created a wonderful character in Linus Jackson. This book spans the life of the now 61 year old Jackson. From his troubled past to his serene present, this story paints a very vivid portrait of an interesting life. 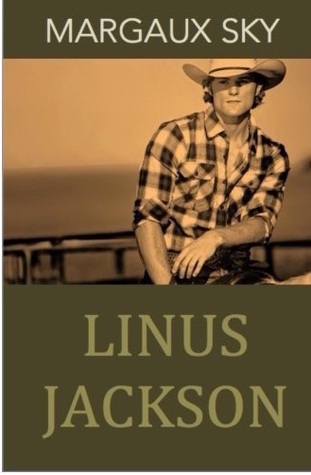 An easy read, Linus Jackson really puts you in the mind of the main character. His troubled past is brought to the fore when he is accused of murdering a man in cold blood. The conflict of this story is a juried trial that brings back every aspect of Linus Jackson’s life. Linus’ main concern is that hearing of his conflicted past would impact his family’s vision of him. In the present day he has a granddaughter whom he adores with all his heart. She feels just the same about him. Will learning about his past change his granddaughter’s current view of him? I can’t give away the main plot points of this story as I had an inkling of what was to come at the end myself and I don’t want to spoil it for anyone! I really enjoyed this book, more than many of the review books I’ve read in the last year. While there were are few bland areas, and even some editing errors, I was able to look past these minor issues and really get into this book. Margaux has a great writing style – I’d enjoy reading more from this author in the future. Thanks so much for the wonderful review, Jess! By the way, I fixed the typo errors. 🙂 Glad you really enjoyed the book! Glad to hear it Margaux! I did enjoy your book – keep on writing!